In order for medication to work properly, one has to take it properly. This sounds simple enough, but medication non-adherence is a major issue that has serious consequences. To combat this problem, one San Francisco-based company has developed a device that knows when you need to take your medicine and reminds you if you forget, WIRED reports. 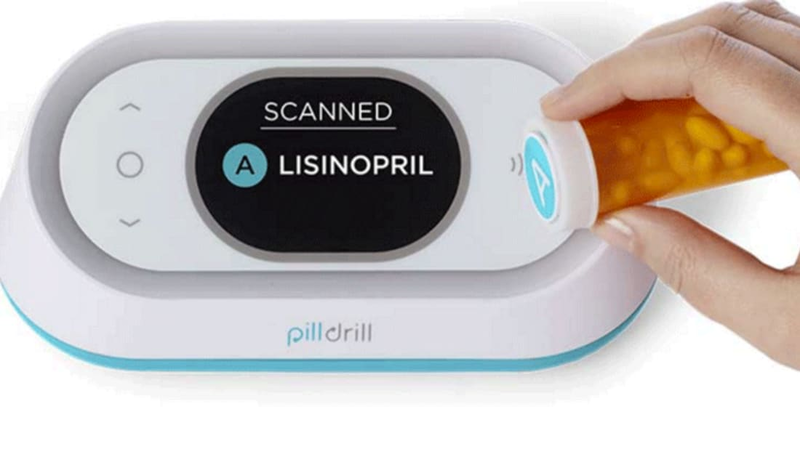 PillDrill is a plastic desktop gadget that connects to Wi-Fi and keeps track of your medication intake. After attaching radio frequency identification (RFID) tags to pill organizers or bottles, users swipe their containers over the device each time they take a pill. And if they ever forget to take their medication, PillDrill can send a notification to their smartphones or alert them through the hub itself. The device also gives people the option to notify loved ones when they've taken their pills, or when they've skipped them altogether. In this same vein, PillDrill comes with an RFID-equipped cube labeled with different emotions on each side. Users can can wave it over the device to tell others connected through the app if they're feeling "great," "awful," or somewhere in between. PillDrill isn't the only app that encourages users to take their medication every day. Medisafe catalogs pills in a "virtual pillbox," allowing people to clearly see what they still need to take on a given day. MyMedSchedule also shows what pills you should be taking, as well as listing the functions of each one. But unlike other medication-reminder apps, PillDrill is built around simple physical gestures instead of information only available through a phone. The team behind PillDrill is hoping their device will be an approachable compromise for customers who are hesitant about using new technology.